The new iPad Pro is arriving tomorrow, November 7. Right ahead of its launch, Apple has shared its favorite quotes from a bunch of iPad Pro reviews. To recap quickly, the new iPad Pro features Apple’s in-house designed A12X Bionic chip that files as the most sophisticated mobile chip platform out there without real competition at the moment. The chip features hardware-accelerated machine learning and is paired with Apple’s TrueDepth camera to enable Face ID that works in any orientation. The edge-to-edge Liquid Retina display is hard to distinguish from the more premium OLED panels thanks to its accurate color reproduction and high brightness levels. 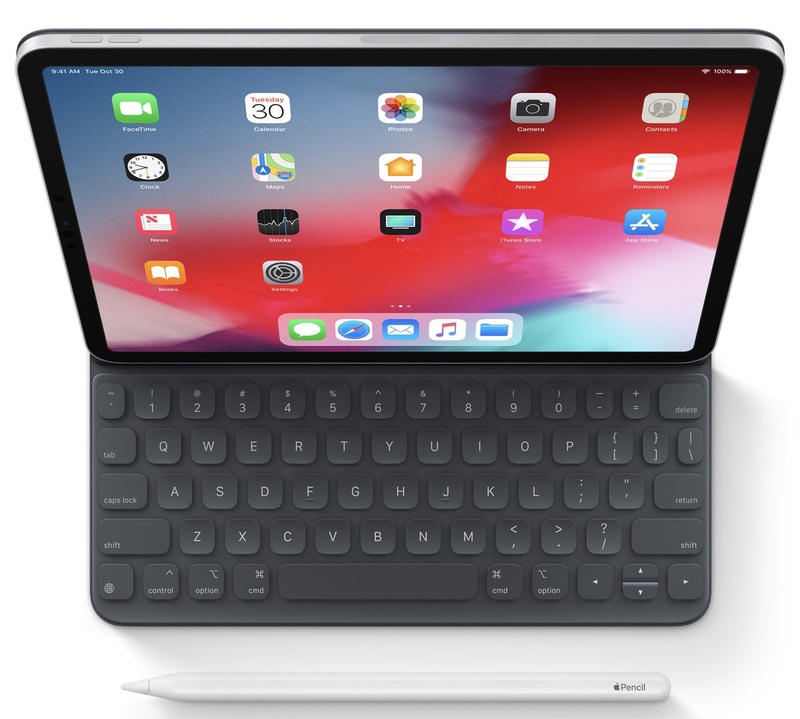 Apple has also created a new Smart Keyboard Folio for these new iPads and a second-generation Apple Pencil that recognizes taps, attaches magnetically to your tablet and charges wirelessly. Before we get to the roundup, check out the following drawings from members of the creative community that really show off what you can do with the Apple stylus. This past week was the most thrilling and awe inspiring 7 days I’ve experienced…ever? I haven’t had time to process completely, but I wanted to remember everything so started with just jotting down the special happenings of each day. This will be the starting point for a future visualization I hope to create to capture the magical sequence of events that unfolded which somehow led me to be with my best friend who lives across the country when she gave birth to her first child ahead of her scheduled due date. Oh and I was in NYC to check out the new #iPadPro + #applepencil which is what I used to make this journal entry. It’s crazy how much this piece of tech has changed my career trajectory (thus, life) and the latest update is ?? + ⭐️⭐️⭐️⭐️⭐️ + ? + ?? ╳ NEW iPad Pro. ⠀ Excited and proud to say that I’m one of the first artists in the World to create with @apple ‘s new #ipadpro & #applepencil ! ⠀ This is a crazy tool for experimental projects to merge digital drawings, traditional art and mobile photography together. ⠀ I’ve used some of my calligraphy paper sketches, @procreate app as the main tool, #shotoniphone photos and @adobe @lightroom apps for color editing. ⠀ This is the next level of my creativity. Some of these artworks will be used for my upcoming new clothing collection! Stay tuned.??? ⠀ _______________________ ⠀ Друзья, я стал одним из первых художников в мире, которые работают с новым айпадом от Apple! ⠀ Делюсь с вами актуальным сетапом — Скан моих каллиграфических работ, перевод в диджитал, мобильная съемка и коррекция в Lightroom, финальная работа в Procreate. ⠀ Получается очень удобное комбо для путешествий и работы там, где вдохновение приходит внезапно — на улице, в отеле, в метро. Везде! ⠀ И очень приятно быть в авангарде этого движения. Всем привет и ванлав из Нью-Йорка! Ждите принты из этой серии в рамках моей новой коллекции одежды. ? Follow along for the review quotes. And here are Apple’s favorite impressions of iPad Pro from reviewers. The 12.9-inch iPad Pro…is the most powerful mobile device ever made. The A12X Bionic processor in this slate runs circles around even Core i7-powered laptops on certain tasks, and yet the device weighs just 1.4 pounds. The new Apple Pencil is one of the best ‘2.0’ products I’ve ever seen. The original Apple Pencil is a terrific product, but the new one nears perfection for the concept. The mobile workflow was seamless and both the hardware and software were incredibly powerful. The new iPad Pro is a huge upgrade from previous models, and is easily Apple’s most accomplished and attractive tablet yet. Its speed and versatility are remarkable, arguably more than many will need, but for creatives especially, it’s going to become the tablet of choice. Apple has produced an iPad that we suspect many pro users will want—and not just because of the increase in screen size or the thinner design. 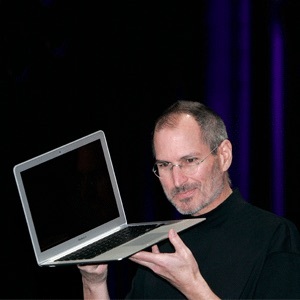 There is so much here that blurs the lines when it comes to working on the go that it will pique the interest of those who have started to question whether they still need a laptop. Apple’s latest iPad Pro is truly beautiful. It’s hard not to be wowed when you first pick it up. And that wow factor continues as you begin to discover what it’s capable of doing. It’s a powerhouse and without a doubt my favourite iPad to date. The idea of using an iPad for all your computing needs is very attractive and I think the newest iPad Pro comes even closer to enabling that dream. It is super portable and its performance is off the charts. Want a more honest overview of the new iPad Pro? If so, be sure to check out our own selection of the top review quotes that we think help paint the whole picture in terms of both the product’s advantages and drawbacks. TLDR: the new iPad Pro is scary-fast and puts other tablets to shame, but is still an iPad held back by iOS’s limited multitasking features and as such isn’t a true PC replacement yet. The new iPads are available in 11-inch and 12.9-inch flavors from apple.com, the Apple Store app and authorized resellers. The new Pencil and Smart Keyboard Folio will be available starting Wednesday, November 7, from apple.com, the Apple Store app and Apple stores.